The FSEC Energy Research Center at UCF conducts a wide range of research in solar technology. 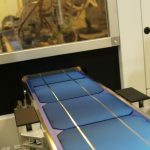 From long-term reliability and durability testing to thin-film photovoltaic production techniques, the FSEC Energy Research Center is a leader in solar research, especially in the hot and humid climate. 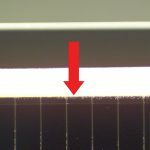 Researchers are taking core samples of new and exposed module laminates through selected regions of cells to determine adhesion strength and identify degradation processes at the microscopic level. A better understanding of delamination and other degradation processes will help industry in improving manufacturing processes and products. The reliability of a photovoltaic system is dependent upon all of its components. The PV modules, inverter, charge controller, meter, and switches must all work together. UCF researchers have extensive systems monitoring experience. Solar thermal research is one of UCF’s flagship programs, and includes both solar water heating and solar cooking. 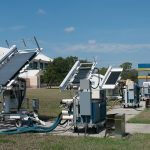 Although there are no current research projects on solar thermal, UCF has a long history of testing and research on this topic that ranges from commercial systems to solar weatherization programs to low-cost solar ovens for third world countries. Raising families, incurring everyday bills and purchasing common necessities are all part of daily life that can rapidly drain a family’s budget. This is especially burdensome for low-income and elderly residents on a fixed or service economy income. A major part of the budgetary concerns are the unavoidable electric bills. This is a major concern for low-income residents since studies have shown that 11 percent of a low-income residents’ yearly income goes toward paying energy bills (note that for mid-income residents, only 3 percent of the yearly income goes toward paying energy bills). 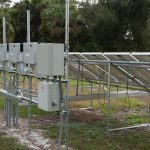 Taking advantage of Florida’s abundant and renewable solar energy resource helps reduce energy costs in low-income residences. 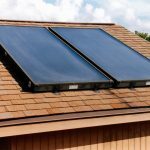 believes that “A solar water system doesn’t just help with the energy bill, it also relieves other financial stress,” said Brenda Mobley, SWAP program manager for the Mid Florida Community Services Agency. In developing nations, some cannot gather fuel or afford to buy it to cook their food or purify their water. 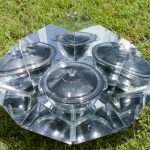 Low-cost solar cookers is a solution. This research project hoped to improve the performance, reliability and cost-effectiveness of low-cost solar cookers for use in developing nations.